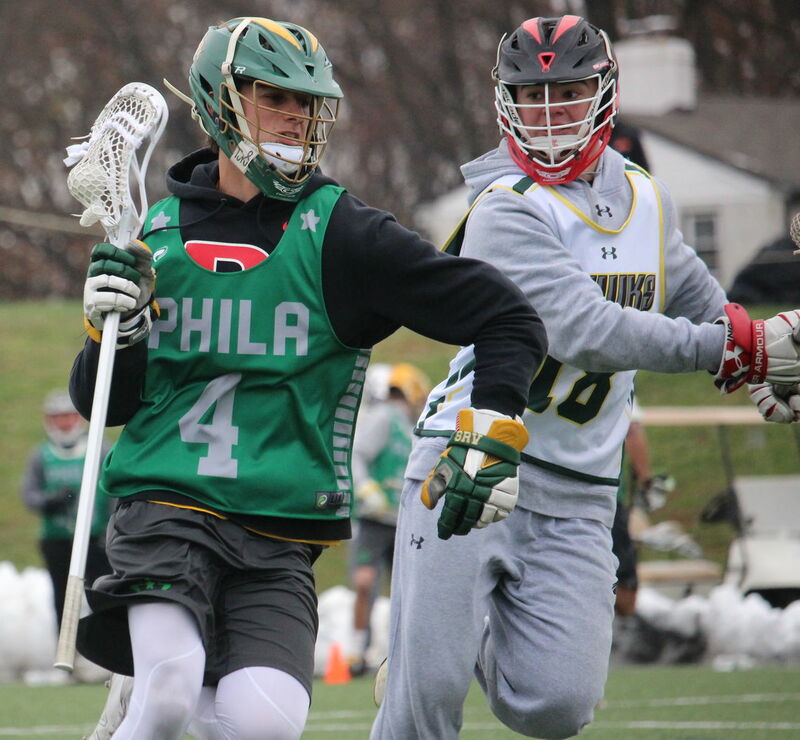 In their first year, the Phila Stars, a team comprised of both committed and uncommitted 2019s, joined forces to finish 5-1 on the fall season. In their first year, the Phila Stars, a team comprised of both committed and uncommitted 2019s, joined forces to finish 5-1 on the fall season. 18 boys from 12 different clubs came together, shared the ball, picked each other up, and most importantly had fun while keeping their game strong. The team was led by NXT President, Peter Lawrence, a notable 18-year college coach and most recently the defensive coordinator for Team Scotland in the World Games and Nick Taylor, head coach for Division III Haverford College and D Coordinator for Team Bermuda in the world Games. “It was refreshing to work with a group of seniors who had their foot on the gas,” said Peter Lawrence. The goal of creating the Phila Stars was about unifying a group of seniors who wanted to continue to work, develop, and get better at their game. The boys showed off their talent locally two weeks ago at the NXT Boys Philly Invitational where they went 2-1 playing BBL, Orange Crush, and the Annapolis Hawks, losing their sole game of the fall by 1 goal to BBL. Our point leader both at the Invitational and throughout the fall was Bishop Shanahan/Manhattan attack, Kyle Gucwa. Strong play between the lines was seen from Bryce Witmer (Hempfield), Jake Waltz (Kingsway) and the Ojert twins (CB West) with great faceoff play from Zach Mayan (LSM from Boyertown) and a guest player from California, Griffin Turner (San Ramon). Defense and goalie play was stout all fall behind the play of Zane Mazur (Strath Haven), Ryan Bassinger (Palmyra), Blake Ewaskey (CB West/Scranton), a guest player Curran Meyers (Centennial/LB3) and our goalies Chris Straub (Berks Catholic/Misericordia) and Cole Hiller (Tatnall/Roanoke). “A source of pride for our team was how hard we rode all fall, our constant compete level, great energy, and teamwork,” continued Lawrence. The Phila Stars was created with a memorable experience in mind, providing players the ability to get better and train while also providing exposure for uncommitted players. Coach Lawrence intends to continue the program next year and will offer an NLA committed academy at MLSC in January & February. For more information or questions contact Peter Lawrence at peter@nxtsports.com.